So many key pieces on Sonia Rykiel's Spring '19 runway were knitted with cocooning proportions or silhouettes. 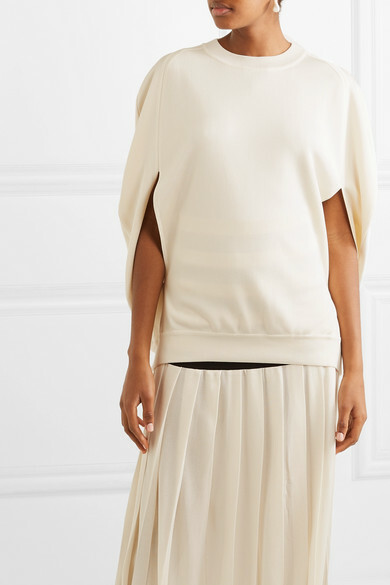 Continuing the theme, this 'Milano' sweater is designed with enveloping cape-effect sleeves. 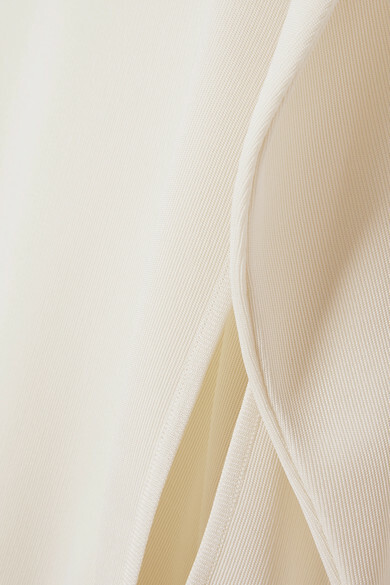 Made from cozy cupro, it's cut for a loose fit and will sit beautifully over anything from denim to midi skirts. Shown here with: Sonia Rykiel Skirt, Loewe Shoulder bag, Chloé Sandals, Chloé Earrings.